Zanskar had stayed inaccessible for centuries and the place is unlike anywhere else on earth: A high arid land with fortress-like Buddhist monasteries steeped in myth and rich in imagery. 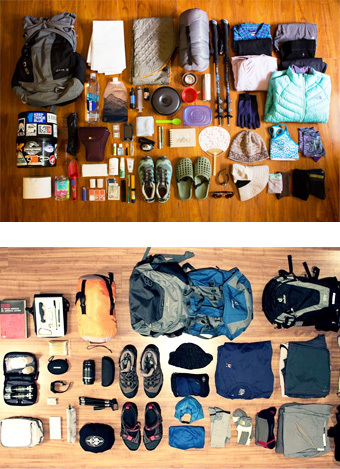 It is also a world where the only way to travel is on foot or by pony. This trek takes us from the Lahaul valley of Himachal Pradesh into the ancient kingdom of Zanskar, where we visit the remarkable cave Gompa of Phugtal. The people, the scenery and the challenge make this a truly unique adventure. 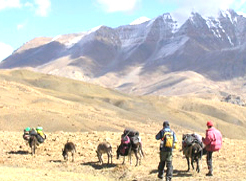 Most of the visitors travel to the remote parts of Zanskar region for trekking. Numerous trails wind their way north from Padum to Central Ladakh, west of Kishtwar and south to Neighboring Lahaul - all along difficult trail that involves strenuous ups and downs. The two main routes leading in to Zanskar, despite the region's isolation are those from Kargil and from Manali to Padum. In Mid June and July: During these months, one can enjoy cascading waterfalls and beautiful glaciers in the Lahaul and Zanskar valley. The benefit of visiting in during these months is that there will be very less to no rain. In August, September till mid October: The snow starts melting in May and new plants start to prosper till August giving the opportunity for witnessing Zanskar in one of its most beautiful period. 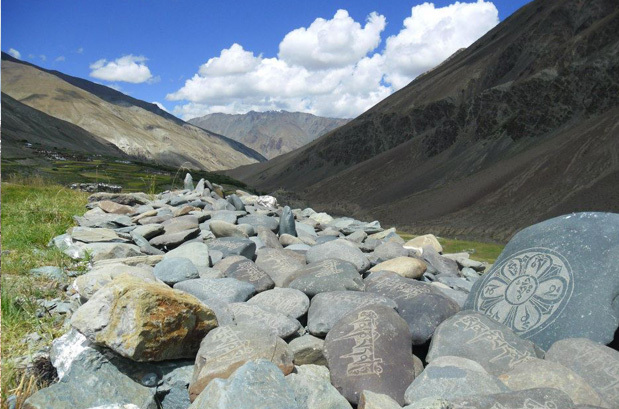 Where is the Southern Zanskar Trek? 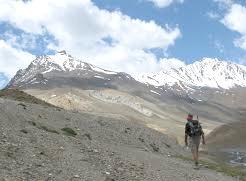 The Southern Zanskar can be reached via Lahaul Valley by crossing the Shingo La (5090m).One has to walk through the Lahaul Valley to Darcha and then further to Rarig, a prosperous farming village; Zanskar Sumdo, where there is a raging Barai Nallah. After crossing the Barai Nallah by Cable Bridge, we trek to Shingo La base camp, which further leads to Southern Zanskar Region. Nearest Airport: The Kullu Manali airport at Bhuntar Town (about 50 km south of Manali and 10 km south of Kullu town) is the nearest airport, which has flights to Delhi and Chandigarh. Nearest Railway Station: Jogindar Nagar is the nearest railway station (lies 166 km from Manali). The other rail heads are at Chandigarh and Pathankot. In the evening, board the AC Volvo Coach at 18:00 hrs for an overnight journey to Manali. On arrival in Manali in the morning, we will transfer to the pre-booked hotel. Rest of the time is free for leisure activities or you can even take a tour to major attractions of Manali like Hadimba Devi temple, Vashisht Hot Springs, Club house, etc. An overnight stay in the hotel. Post breakfast, we will drive along the Beas River towards the Rohtang pass (4050 m). Down the hill, we shall drive to the Gramphu and to passport check point at Koksar. On reaching Keylong, we shall set our camp at Darcha. Today, we shall take a short drive to Darcha and from there to Rarig, which is our trekking beginning point. Further, we will move up the Barai Nullah (river) valley passing through Palamo village. We shall cross various side streams and a boulder field to reach our campsite. Overnight stay in the tent. The day is kept free for acclimatization. We may go for a short walk. An overnight stay in the tent. Today, we shall go for trekking on the mountain side. Firstly, we will cross the river by a hanging bridge and then climb up for about an hour and then follow the trek on a narrow valley to reach Ramjak, a small meadow. Overnight camping at Chuminakpo (4800 m). In our trekking today, we will follow the path leads over moraines, snow and glacier. On the way, view the prayer flags that flutter near the Shingo pass. 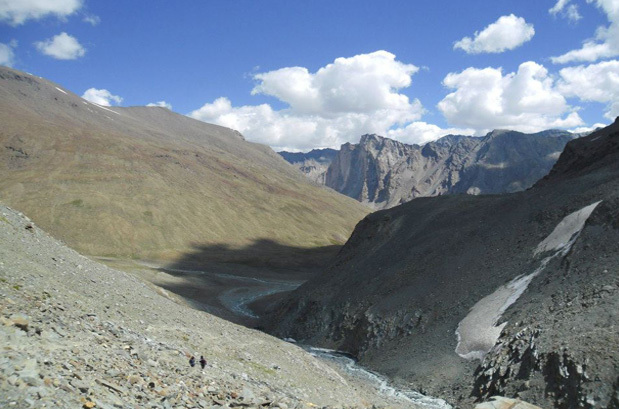 We then will descend to the Zanskar valley by wading through Kargyak Chhu. Overnight stay in the tents near beautiful campsite on the bank of Lhakhang Chhu. Today, our trek will be an easy one beside the right bank of Kargyak Chhu and foot of the Gumboranjom tower. The trek will give us an opportunity to see the herds of yaks and groups of Marmots whistling and playing around the meadow. We will further be trekking towards Kargyak, where from a distance we would be able to witnesss the long series of Mane wall and Chhorten. An overnight stay in the tent. Our trek today will be through Tanze, Kuru, Testa and Yal to Purni. On arrival at Purni, situated on the confluence of the Tsarap and Kargyak Chhu, we shall set our camp. Overnight stay in the tent. Post breakfast today, we will trek along Kargyak River through a gorge to the Tsarap River to get entry to the stunningly located Phuktal Gompa (3850m). The monastery is perched on the mountainside and is quite impressive architecture wise. After spending some time at the Gompa, we will return to our campsite at Purni for an overnight stay in tents. Today, we shall go back to Tanze. It is a short walk and one will get enough time to rest. Enjoy an overnight stay in tents. Our trek today will be from Tanze High Camp via Phitse La. Initially we will walk through a gorge and then the trail will open to a wider plateau. We shall camp near the base of the pass in order to easily climb the pass next day. An overnight stay in tents. Day 13: High Camp – Phitse La (5526m) – Lingti Camp (4700m, trek 7-8 hrs). Today's trek will be short but will involve steep climb to the pass. 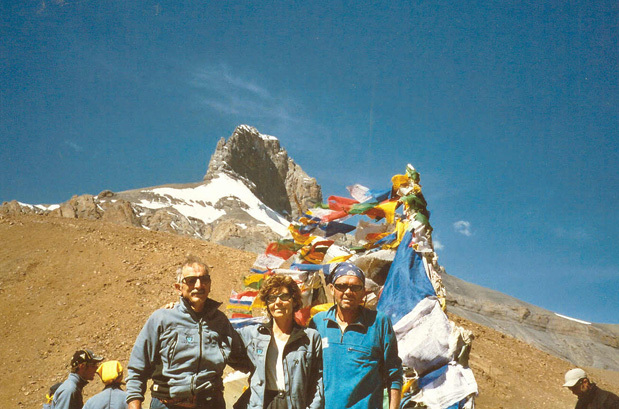 The final ascent is up a scree slope that leads to Phitse La (5250m). We might also take a short detour climb to a small ridge that offers excellent views of the Zanskar range. The descent is also steep and crosses scree slopes before opening to a meadow at Chumik Marpo. We will continue descending to a narrow gorge to the main Lingti valley. On arrival at Lingti Valley, we will camp near a side stream of the Lingti. Post breakfast, we shall follow the Lingti River to a confluence where we have camps set up. Our trekking trail will cross several ridges dotted with juniper and marked with prayer flags or Mani walls and through meadows used by Gaddi shepherds of Ladakh. We may have to cross streams at several places. An overnight stay in the camp. Today, we shall walk in the lower meadows, where the valley widens out. We might also get a view of the Leh-Manali highway from a far distance. We will enjoy our camp today at a grassy field at Kilong Serai. Today, we shall drive to Keylong, the head quarter of Lahaul valley. On arrival in Keylong, check-in at the hotel for an overnight stay. Early in the morning, we will drive towards Manali through a very interesting road. On arrival in Manali, check-in at the hotel for an overnight stay. The day is free to relax. In the evening, we will catch AC Volvo coach for Delhi. Overnight journey. We shall arrive Delhi by morning at 08:00 hrs and proceed for the onwards destination. When to book Southern Zanskar Trek? You should book Southern Zanskar Trekking two months in advance so that you get ample amount of time to prepare for the trek. Our pick up and drop point for Southern Zanskar Trek is at Leh airport. From airport, our guide will pick you and then assist you through the expedition. Our group size is minimum 2 people and maximum 18 people with mix of men and women. 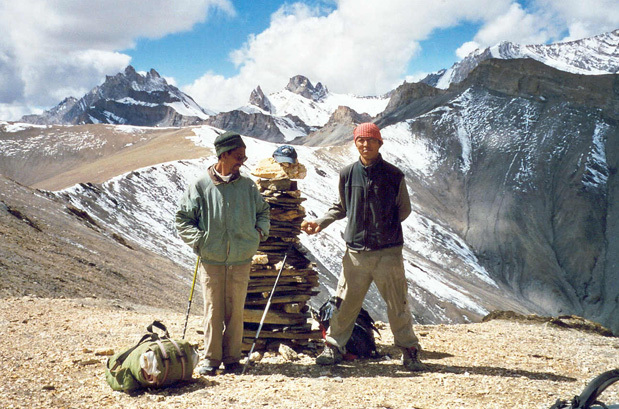 What is minimum age required for Southern Zanskar Trek ? Southern Zanskar Trek is tough trek with a maximum altitude of 18125ft (5526m), so the minimum age required is 15 years..
What will be the minimum temperature during Southern Zanskar Trek? 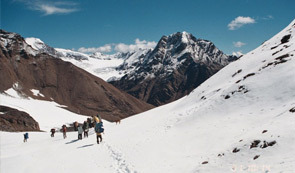 Between the months of July and September the temperature during the trek can go as low as 8 Degree Celsius during the night and the day time is sunny with temperature ranging between 15 and 25 Degree Celsius. 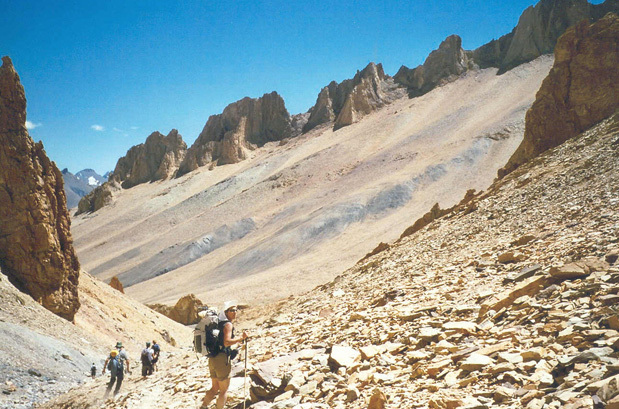 How long we trek during Southern Zanskar Trek ? 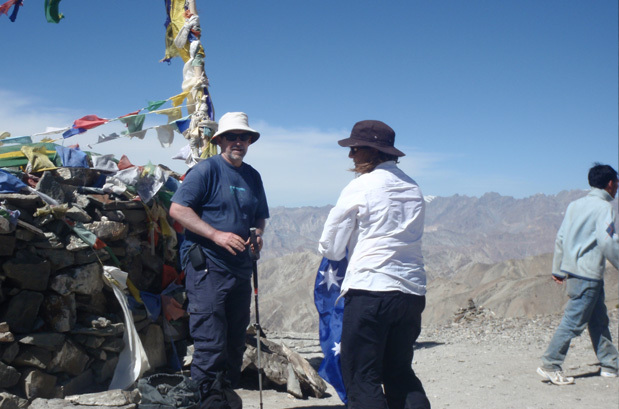 We plan our treks in a way that after 6 – 7 hours of trekking we can reach next camp around the lunch time. 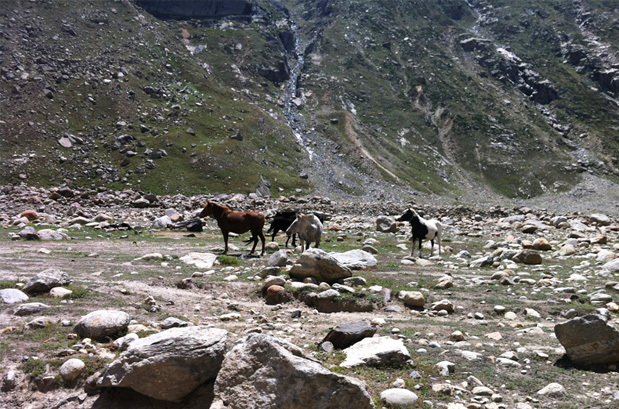 Normally, 10 - 15kms per day of trekking is required. 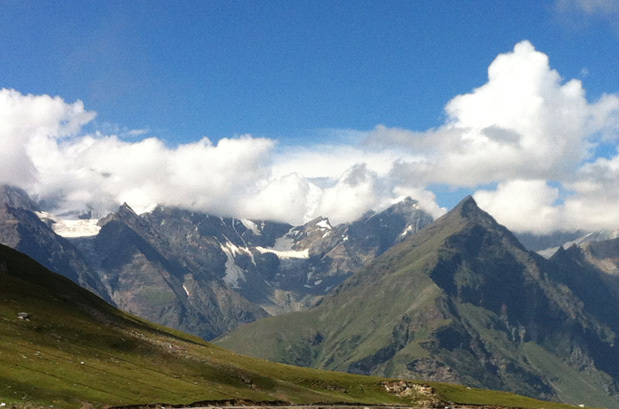 How monsoon affects the Southern Zanskar Trek ? 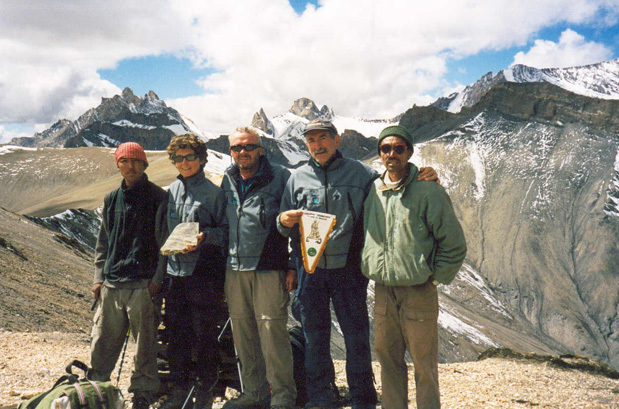 Southern Zanskar Trek is only conducted during the monsoon season: July, August and September. However, monsoon doesn't affect this trek as there are no rains in Ladakh area.